Is the Joint Meeting for you? Who attends the Joint Meeting? With 5 tracks of educational sessions, you'll find presentations from industry leaders in Administrative, Technical/Scientific, Donor Recruitment & Collections (DRC), Quality, Safety & Compliance (QSC), and Nursing/Apheresis. There is something for everyone at the Joint Meeting. Register now for early-bird savings!! 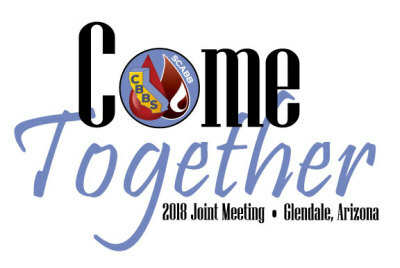 To register at the member rate, you must be a 2018 member of either CBBS or SCABB. See all the membership benefits and apply or renew today. Single Day Registration includes lunch on that day. Exhibit Pass includes exhibits, and lunches on Thursday and Friday. FlexPass allows institutional members to register multiple attendees for one low discounted fee. Employees will share the Flex Pass to enter educational sessions and the exhibit hall at the Annual Meeting. The Flex Pass can only be used by one individual from the facility at any given time. Multiple attendees sharing a Flex Pass cannot gain entrance to the same workshop. Note: Flex Pass registration includes one ticket to the SCABB President’s Reception Awards Banquet. SCABB is approved as a provider of continuing education programs by the ASCLS P.A.C.E. Program. PACE Credit hours are approved for this meeting. This program is approved by California Laboratory Field Services for up to 18 contact hours of continuing education (California Accrediting Agency Provider Number 0034). Provider approved by the California Board of Registered Nursing, Provider Number 1351, for 18 contact hours. attend less than 19 hours can calculate their CEC value using the ratio: 1 contact hour = 0.15 CEC. The Ochsner Clinic Foundation designates this live activity for 18 AMA PRA Category 1 Credits™. Physicians should claim only the credit commensurate with the extent of their participation in the activity.The Oschner Clinic Foundation is accredited by the Accreditation Council for Continuing Medical Education to provide continuing medical education for physicians. 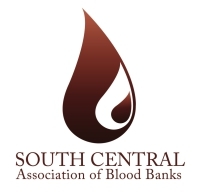 This activity has been planned and implemented in accordance with the accreditation requirements and policies of the Accreditation Council for Continuing Medical Education through the joint providership of Ochsner Clinic Foundation and South Central Association of Blood Banks. The Ochsner Clinic Foundation is accredited by the ACCME to provide continuing medical education for physicians. The Ochsner Clinic Foundation designates this live activity for AMA PRA Category 1 Credits™. Physicians should claim only the credit commensurate with the extent of their participation in the activity. The Ochsner Clinic Foundation relies upon invited speakers at all sponsored continuing medical education activities to provide information objectively and free from bias of conflict of interest. In accordance with ACCME and institutional guidelines pertaining to potential conflicts of interest, the faculty for this continuing medical education activity have been asked to complete faculty disclosure forms. In the event that some invited speakers indicate that they have a relationship which, in the context of the subject of their invited presentation, could be perceived as a potential conflict of interest, their materials have been peer reviewed in order to ensure that their presentations are free of commercial bias. A registrant shall receive a refund of 75% of their registration fees if written notice is received by the CBBS/SCABB Central Office more than 30 calendar days prior to the beginning of the meeting. If received less than 30 calendar days but more than 7 days, they shall receive a refund of 50%. No refund shall be given if notice is received within 7 days of the start of the meeting.